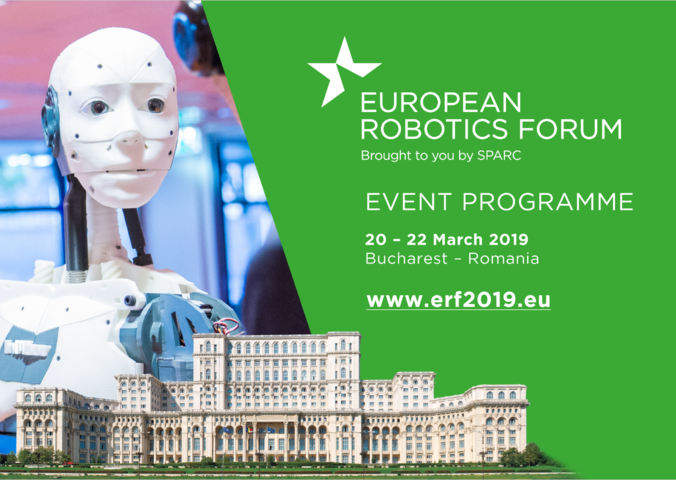 GreenPatrol will be presented at the European robotics forum "world perception for autonomous applications in agile production" in Bucarest by Tekniker. This unique robotics event will offer over 50 information-filled workshops with presentations by leading European experts from industry, business, and top-level academia, as well as relevant European policy makers. GreenPatrole will attend the 4th EU-Japan Satellite Positioning Roundtable set for 14 March in Tokyo. María Campo-Cossio, our GreenPatrol project manager will give a presentation about the Greenpatrol project and its first results. Tekniker’s will present the GreenPatrole Project in the spanish event “Foro Transfiere”, during 13-14 February 2019. Foro Transfiere Is the biggest professional and multisector event in Spain for transfer scientific knowledge and lines of technological research between research groups and companies. GreenPatrol will attend the European Space week in Marseille from 3 till 6 December 2018. María Campo-Cossio, Head of the Navigation and Robotics Unit in the Technological Center CTC and our GreenPatrol project manager will give a presentation about the Greenpatrol project and its first results. Tamme van der Wal from the partner AeroVision will also be present. the space week connects over 1500 attendees from industry, space stakeholders and policy makers. The Space Week show the latest applications on earth observations and satellite navigation. The CAPIGI conference connects people from government, science, ag-industry and geospatial businesses to discuss the application of geospatial data and systems in agriculture.